HiFashion | UK Fashion and Lifestyle Blog: Get in to shape! I'd say the most common New Years Resolution ever for everyone is going to the gym more, and for me, the most motivation I feel to work out is when I've gotten some cute new work out wear. Although I only have one gym outfit at the moment! I actually started going to the gym twice a week late last year, so I'm already in a bit of a habit of heading down at 8am, before work, and getting a quick session before work. I'll tell you what though - it takes all my will power to get out of bed at 6.30am for the gym! 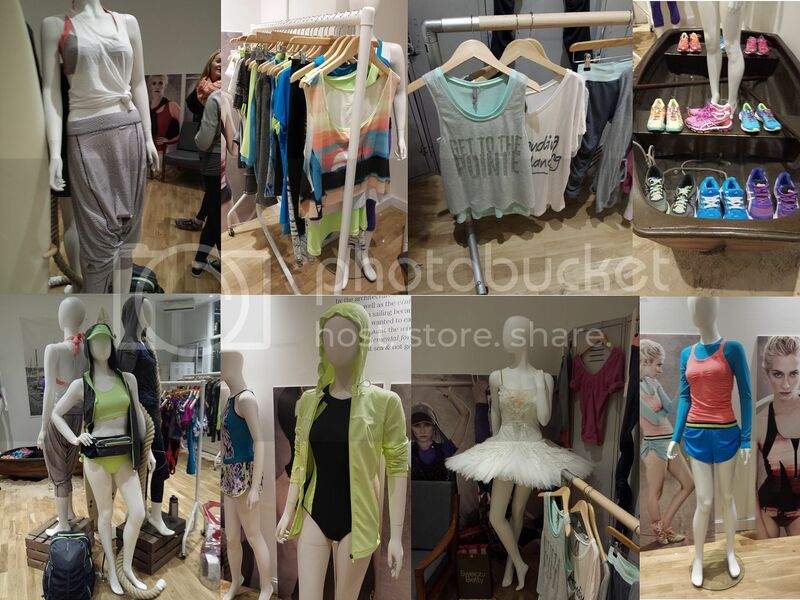 Way back late last year, I was invited into the Sweaty Betty store to check out some of their latest workwear. And it is so cute. Sweaty Betty is exactly the fashionable gym wear that will give you all the motivation to work out - you can't let anything that cute go to waste now, can you? I love all those trainers and the cute swimwear. I also love the adorable tops with the slogans. I also have to introduce you to Sporty! which is the new work out line by Princess TamTam. This collection is definitely full of some really fun pieces, with lots of colour and personality. There will be an exclusive pop up at Selfridges London this month, and also online. These pieces will definitely make exercising a lot more fun and chic. The fabrics used are heat regulating and comfortable looking, with some gorgeous colours and feminine looks. The metallic crop top is a personal favourite of mine. Also love that hoody. What do you wear working out? I wear yoga leggings in the winter, and yoga shorts in the summer. For shoes it depends on what I'm doing - Adidas for cardio, and Nike's for dancing! I love this exercise gear! I tend to wear black running leggings and brightly coloured tops, looking jazzy definitely helps! I usually wear black for exercise which is the opposite to the rest of my wardrobe but what I feel most comfortable in. I do have a few pieces by Sweaty Betty.